Maurizio Sarri insisted playing without a recognised striker against Liverpool was the right decision. Sarri started with Eden Hazard as a so-called false nine at Anfield, where the Blues were beaten 2-0. Chelsea improved after Hazard reverted to his natural role after boss Sarri brought on striker Gonzalo Higuain after Mohamed Salah scored Liverpool’s second goal. Chelsea remain fourth, while Liverpool’s win took them back above Manchester City to the top of the Premier League table. 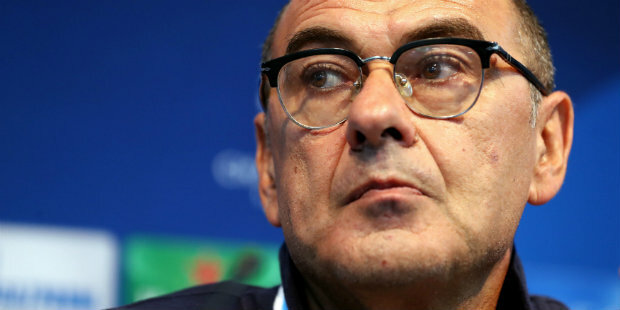 Be the first to comment on "Defiant Sarri insists he got his tactics against Liverpool right"